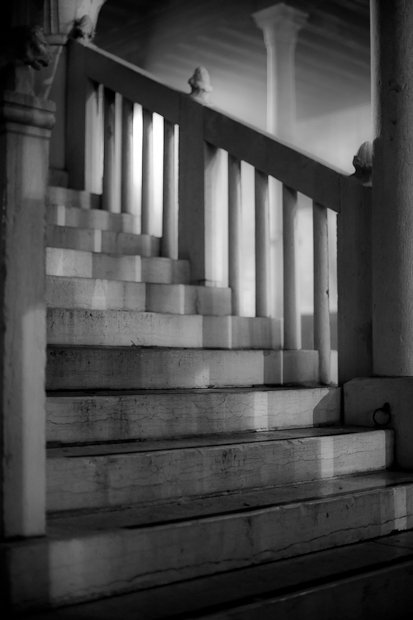 I was recently reminded of this series when some good friends of mine commissioned me to have some prints made from it for their newly remodeled home in New York City. 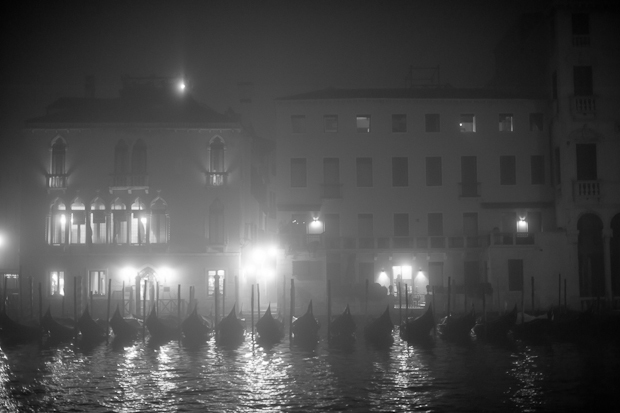 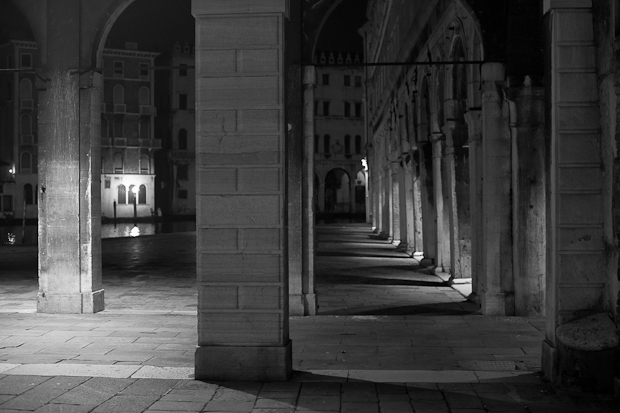 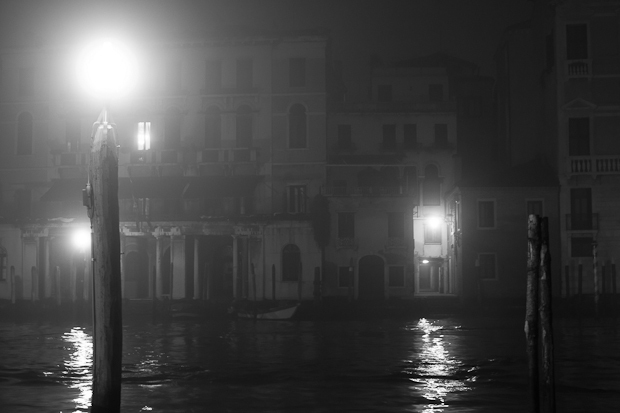 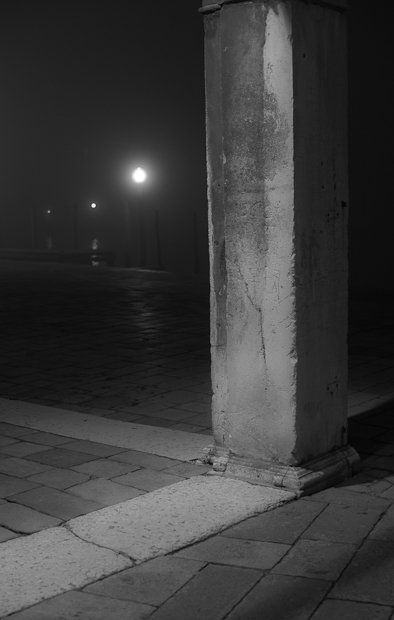 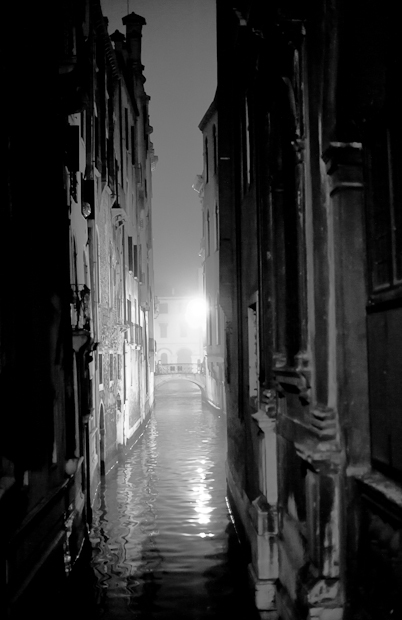 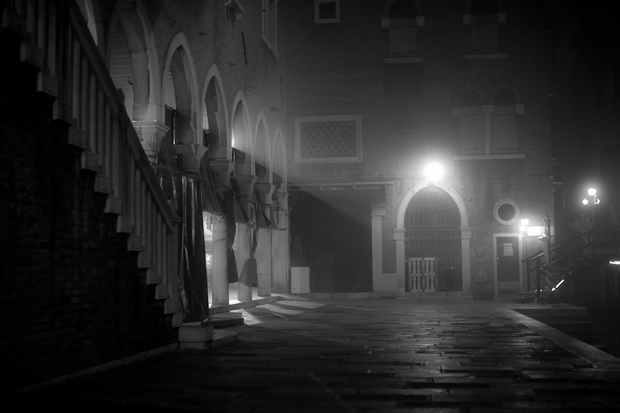 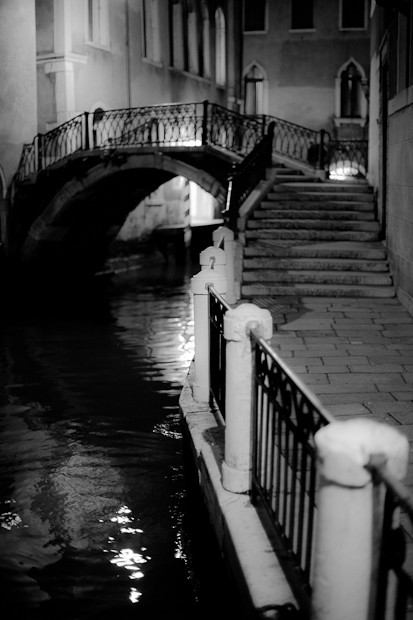 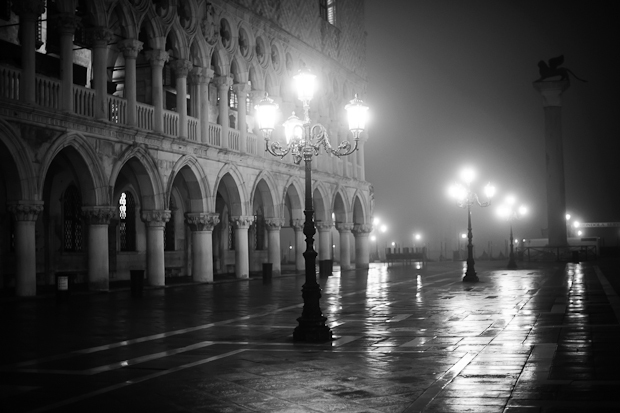 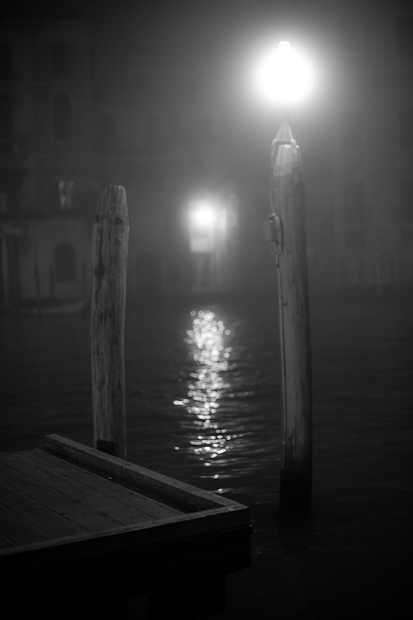 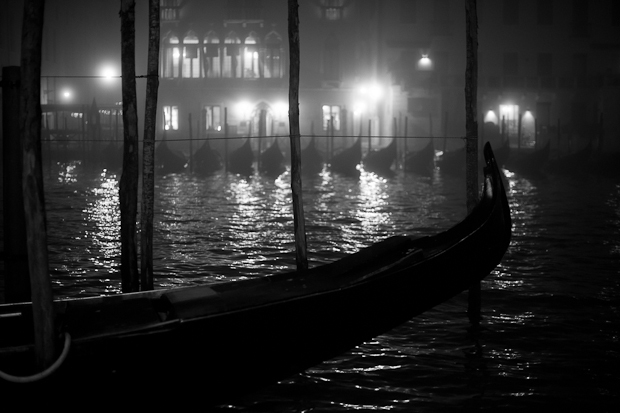 “Venice at Night” was a project that I’d given myself ahead of time when I travelled there a couple of years ago. 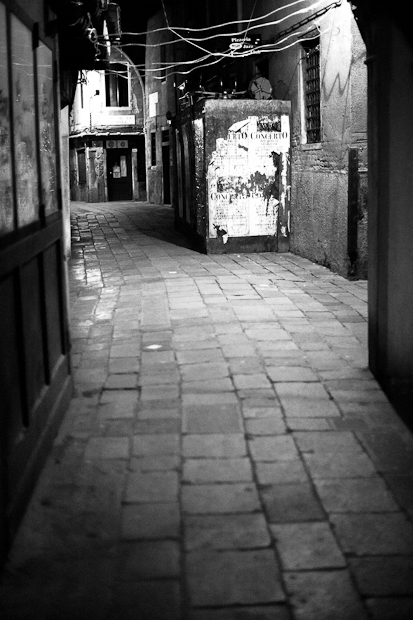 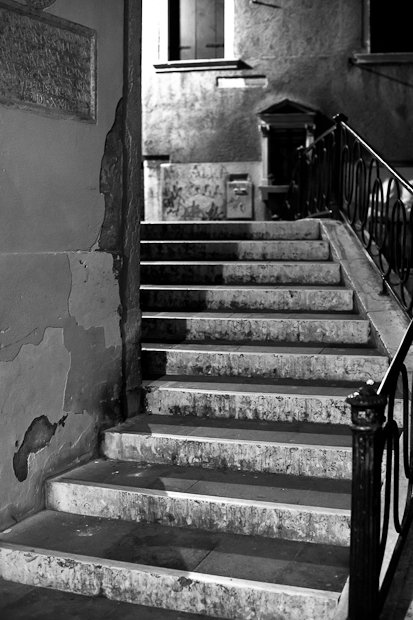 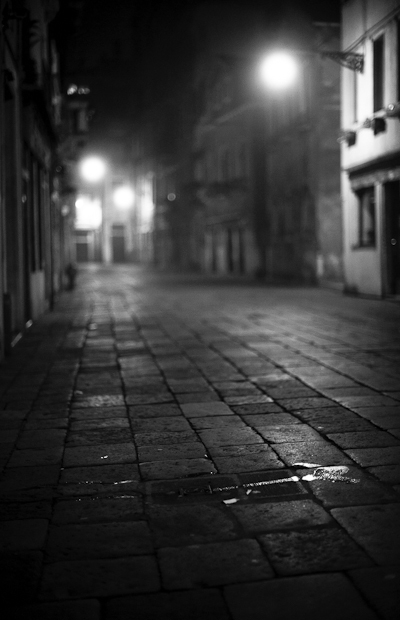 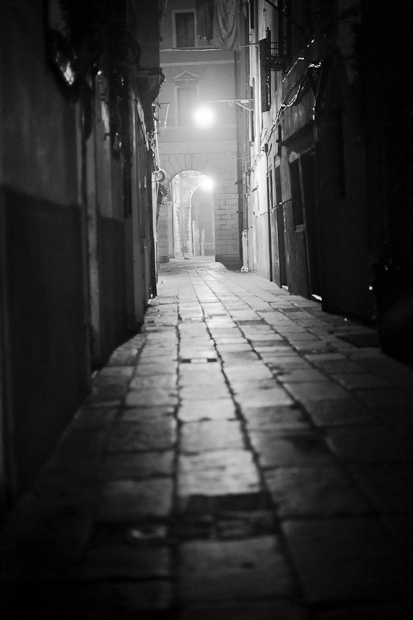 I envisioned empty steets and alleyways, shot in black and white, with an eerie, mysterious feel to them. 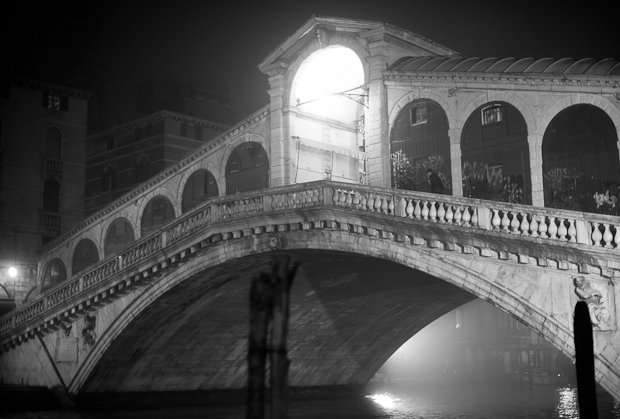 I thought of “The Third Man”, a favorite movie of mine with amazing black and white cinematography depicting post-war Vienna. 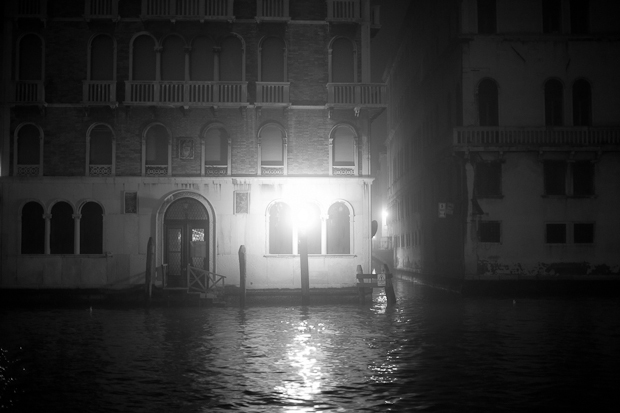 I’d also read an article in the New York Times entitled “Venice in Winter” and purposely went in January in an attempt to stear clear of tourists, heat, and humidity. 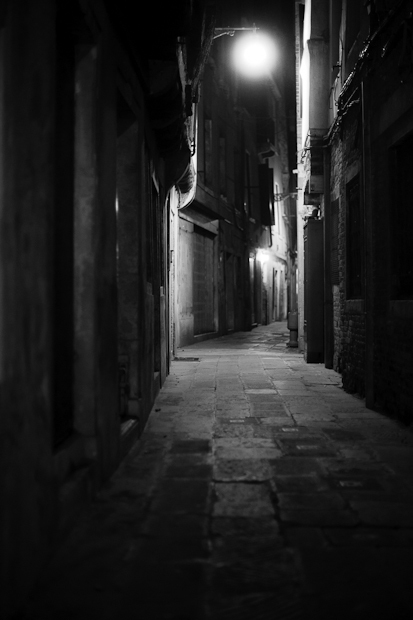 I think what I like most about the resulting images is the feeling of emptiness and the sense of danger in some of them; of stories left untold.